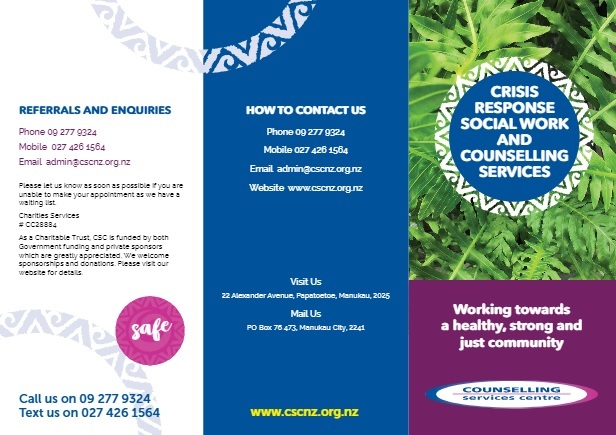 How can counselling & social work help me? Please let us know as soon as possible if you are unable to make your appointment as we have a waiting list. What will the counselling environment be like? As a Charitable Trust, CSC is funded by both Government funding and private sponsors which is greatly appreciated. We welcome sponsorships and donations.